“What’s for dinner?” is a question heard around the world! Whether you are only worried about feeding yourself or preparing a meal for the entire family, every single day we all have to answer that one simple question. Tastefully Simple is a direct sales company that helps to get meals on the table faster so you have more time for what actually matters – your family and friends! 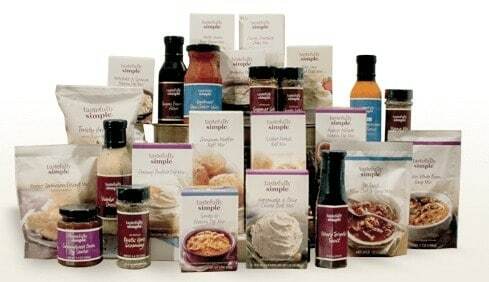 Their impressive line of seasonings, mixes, sauces and more will make every single meal simple and delicious! I have been a long time fan of Tastefully Simple and have truly loved every single thing I have tasted. The hardest part is trying to decide what to cook! Independent Tastefully Simple Consultant Kimberlee Stevenson sent in the Dinner Mixers Starter Kit for inclusion in this year’s Diva Holiday Gift Guide. This is the perfect way to get a taste of their most popular and simple Dinner Mixers. The kit includes five fun and easy main dish, side dish, and leftover recipes as well as pre-measured Tastefully Simple ingredients to make them – just add your own fresh ingredients. 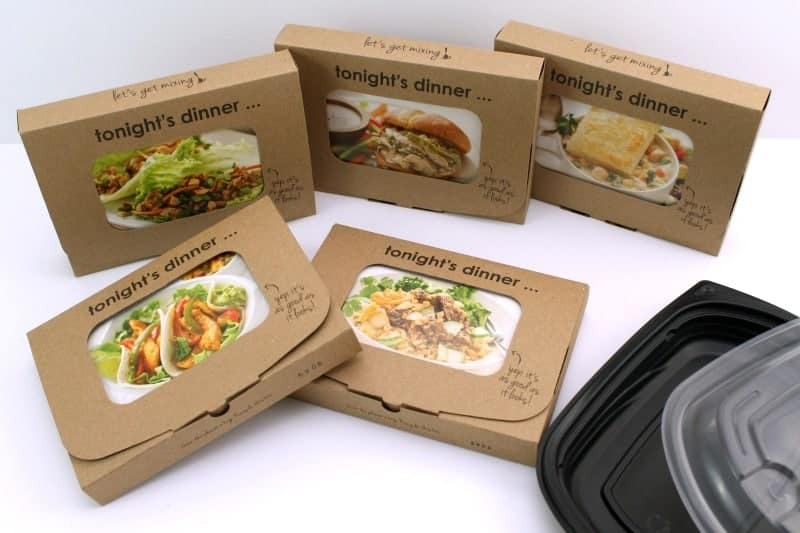 The kit even includes a FREE container for leftovers. I love that it makes just enough for me to make dinner and then send the little leftover container with Mike for lunch at the office the next day! You can purchase Tastefully Simple products directly from Kimberlee’s website or host a party to earn free and discounted products. If you want even more, consider joining Kimberlee’s team and grow a business helping answer the question “What’s for Dinner?” easier than ever! Check out Kimberlee’s website to learn all about how you can get involved with Tastefully Simple!